The holidays are coming! I know it’s only October but before you know it, they will be clearing the shelves of all the Halloween candy to make room for Christmas decorations. I absolutely love Christmas time. I love the lights, I love decorating and (shh….don’t tell anyone) I love the snow. Everything just feels so magical this time of year. 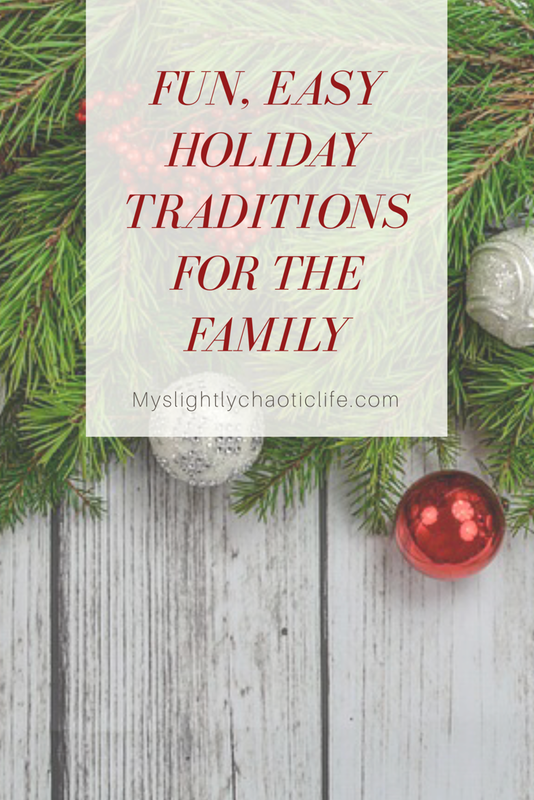 Throughout the years we have started some traditions around the holidays. I look forward to these every year and so does my family. 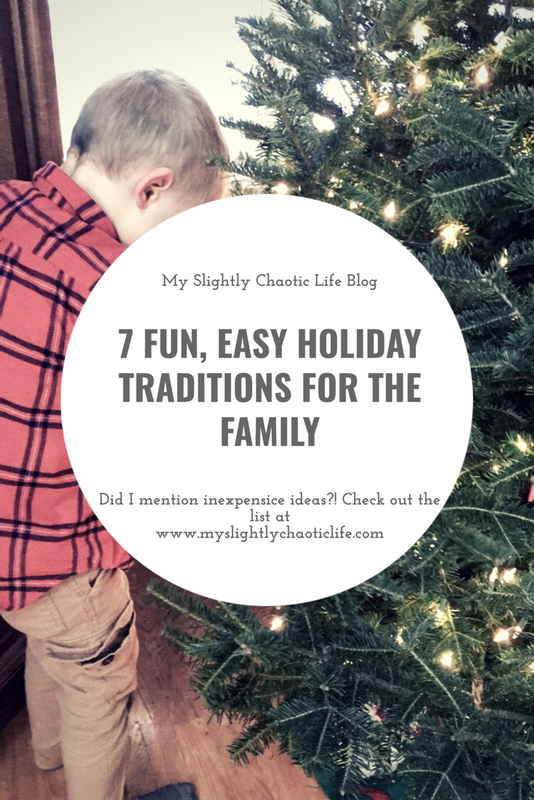 So if your looking for some fun, easy holiday traditions to do with your family this year, here are 7 that my family does every year! My mom started this tradition before I was even born. She loves ornaments and so each year she buys Christmas ornaments for her kids, their spouses or partners, and the grand kids. It’s fun to see what ornament we get every year and look back at past ornaments. Some ornaments have special meaning like the little pink tricycle she got to honor my sister’s baby or the shell with a pearl to honor my pregnancy loss. The kids usually get Disney characters or dinosaurs while my dad gets motorcycle ornaments. I have even started getting Aaron firetrucks for his Christmas ornaments. It’s a nice tradition and these ornaments and their meanings will live on years from now. I love love love Christmas lights. I can look at Christmas lights all day long until my eyes go numb. 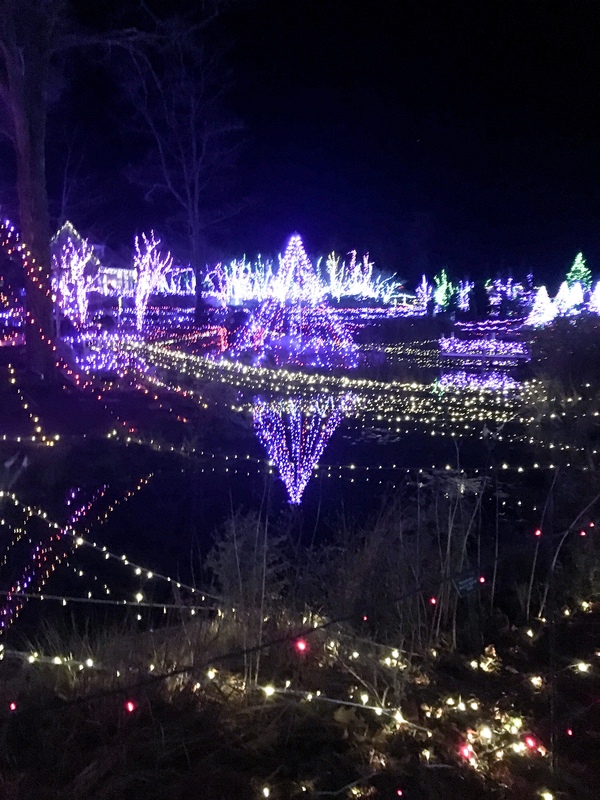 Thankfully I am in a state that loves Christmas lights as well. There are two local spots near me that offer amazing lights. 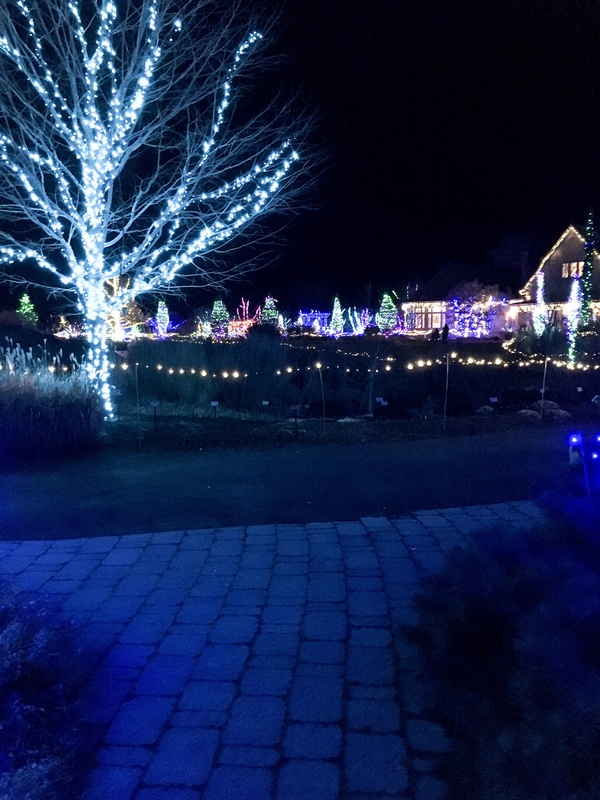 One is the Botanical Gardens in Boothbay and the other is L.L. Bean in Freeport. We go every year to these places and stare at the lights till our eyes go numb. We haven’t quite made it to the stage to decorate our house with lights but if I know Aaron, it’s coming. Every year my mom, my sister and I get together and have a cookie bake-a-thon. We use a combination of family recipes, cook book recipes and one really great Pinterest recipe I found for snickerdoodles. We spend at least one weekend doing this and it’s become a fun tradition of drinking wine, chatting and baking. We make so many cookies that we spend days trying to give them away. I generally bring a big plate of them to work which knowing my co-workers generally disappear within 30 minutes. 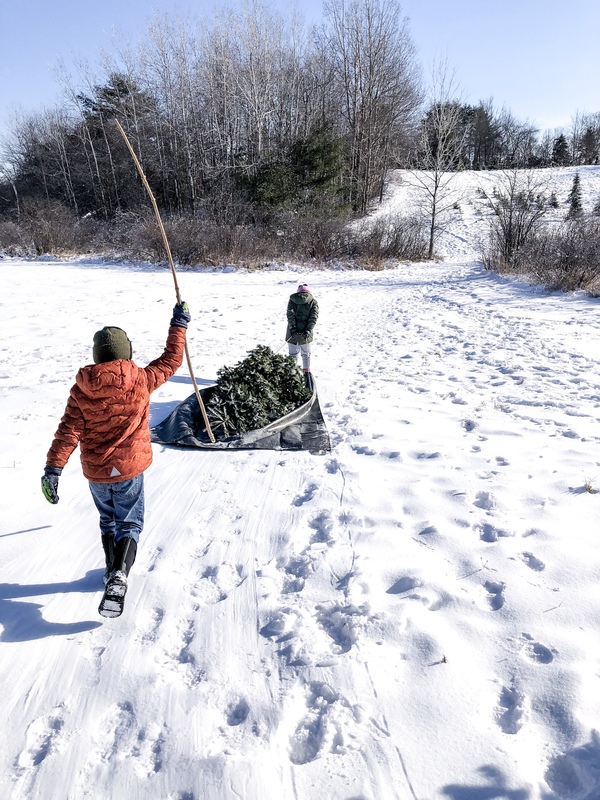 Each year for the past several years we have made our way through the Christmas tree farm to find the perfect tree and cut it down ourselves. The kids even get to help by dragging it back to the car for us. 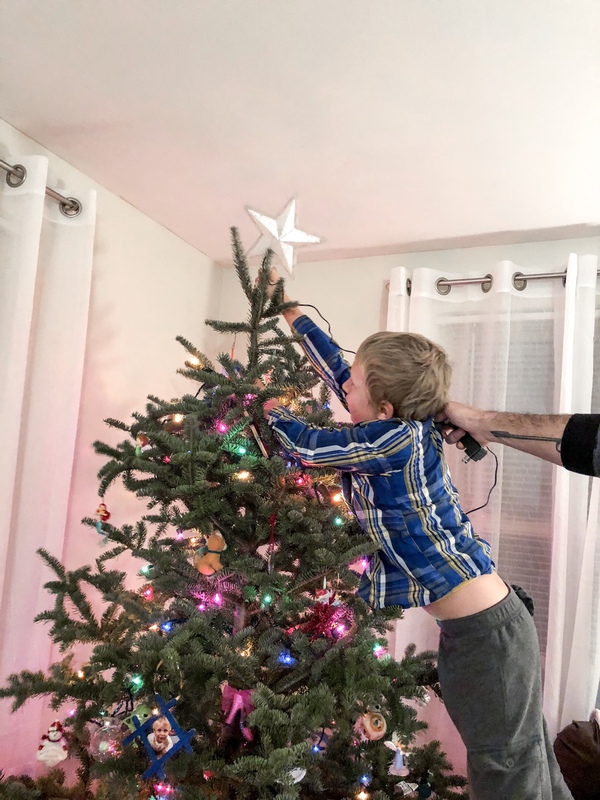 I know many families have gone to an artificial tree because it’s reusable and easier (my mom has one, so no judgement from me) but there is nothing like the smell of a freshly cut Christmas Tree inside the house. Just make sure you water it frequently so it doesn’t dry out and catch fire. 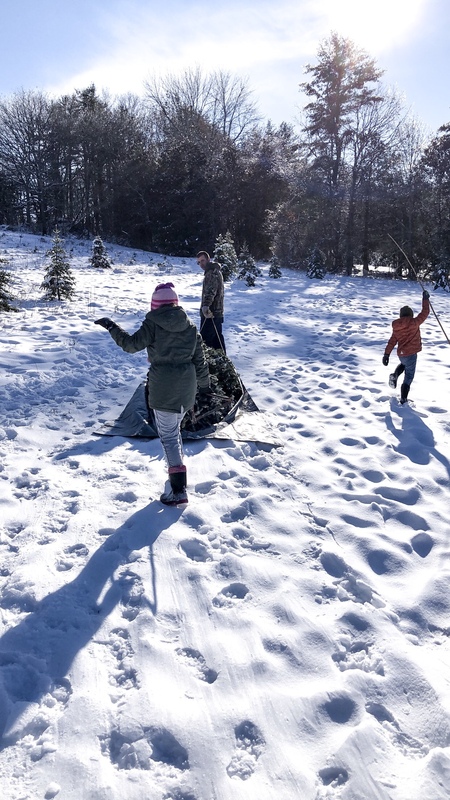 The kids and Aaron are less then impressed with me in the beginning but generally get more excited when we start seeing good trees to cut down. I hate Elfie, however my son loves him and looks forward to him coming out every year. He makes his grand debut after Thanksgiving and magically moves around every night in order to make sure the children don’t act out so he doesn’t give a bad report to Santa. I will admit I am a lazy elf owner even putting a mini cast on Elfie one time claiming he broke his leg so I didn’t have to move him for a good week. Bonus points if you tell me your creative ways to position the thing so I don’t have to come up with any. 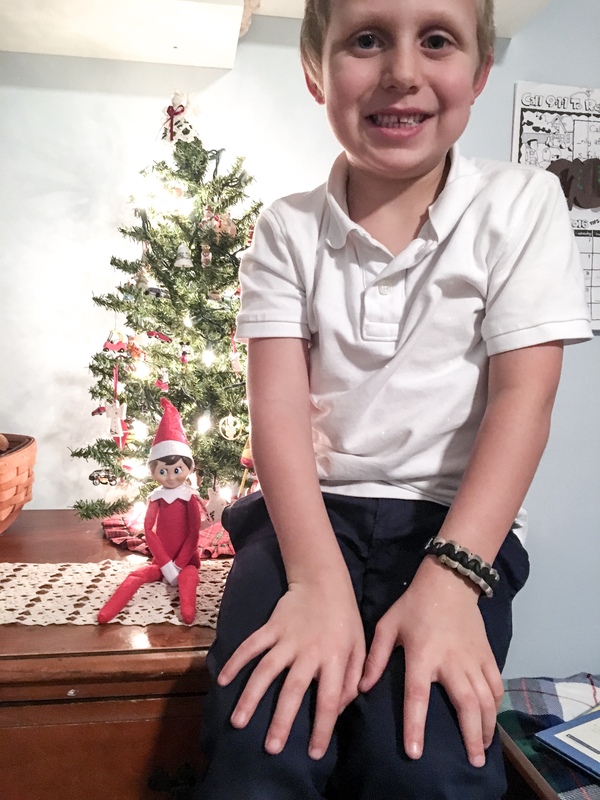 This year I am going to start making a list of what I do with Elfie, check back for the lazy mom’s guide to Elf on the shelf when Elfie makes his grand debut after Thanksgiving. If your in the market for an Elf on the Shelf check you can find one The Elf on the Shelf: A Christmas Tradition “>HERE. Every year my mom gets Christmas pajamas for everyone in the family. It’s exciting to open up the packages which is traditionally done on Christmas Eve, and see what she has gotten for everyone. The kids love it and excitedly wear their jammies to bed that night. The only people that are not surprised are me and my sister since we picked ours out before she wrapped them which has in itself become another holiday tradition of ours. My mom usually gets L.L. Bean pajamas which the boys love. They are soft, durable and warm. For Boys: Check out L.L. Bean boy’s pajamas and L.L. Bean Boy’s pajamas. For girls: Check out L.L. Bean girl’s pajamas and L.L. Bean girl’s pajamas. Or you can get crazy and grab some matching family pajamas like these ones SleepytimePjs Holiday Family Matching Fleece Deer Plaid Pajama PJ Sets-Womens (STMF-5007-W-SML) “>HERE. Last but not least is the tradition of watching holiday movies. 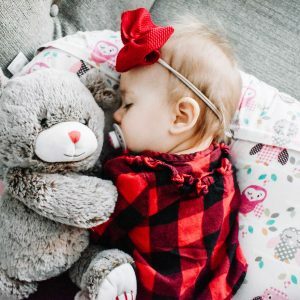 Whether it be Hallmark movies or the Christmas Story on repeat, watching holiday movies can be an easy tradition you can implement really anytime. I personally love watching Home Alone which always seems to get me in the Christmas spirit. Netflix has even gotten in on the holiday movie craze and created a few of their own. So if you enjoy these types of movies there are a few on there you can binge watch to fulfill your craving. 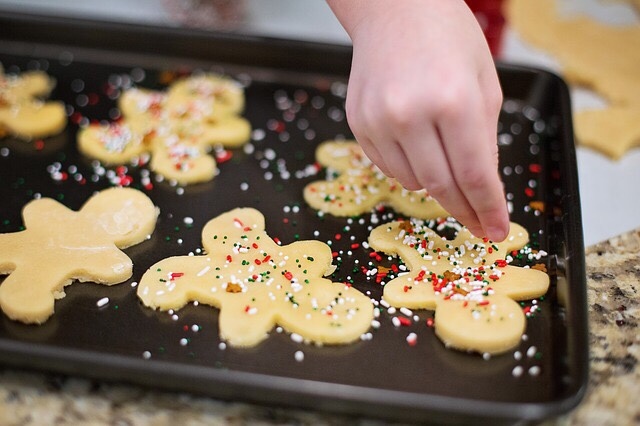 What holiday traditions are staples in your household? I would love to add a few more to my family so let me know what you think in the comments! I love all of these cute traditions! Holidays with family are the best!! That’s the best tradition I ever heard when Christmas. I love decorating lights, and those are the best things to do to celebrate. 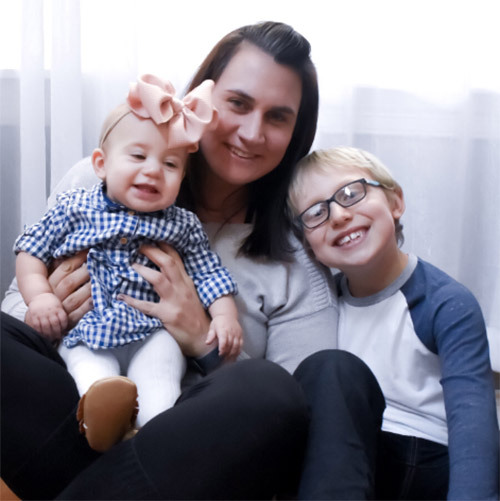 I don’t have kids but I loved them. They seem to have a lot of fun here. Yes, you have reminded me to take out my Xmas tree and start decorating them. I too love ornaments and they can be quite expensive too. I like that little baby Emma ornament 🙂 So envy that you guys having snow for Xmas, we will never have snow in Singapore. I love Christmas ornaments too. I shop for them all year round and look for ornaments that highlight moments throughout the year. 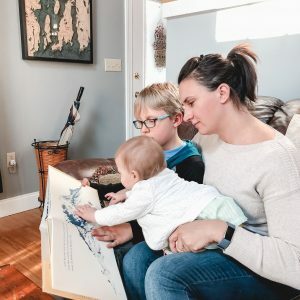 Nice post and I really enjoyed reading this article which reminding about my childhood days wherein we are doing all these things together with my family. We have a couple of family traditions at the holiday’s. We put our tree up Thanksgiving night, after we eat dinner. My daughter puts the tree topper on the tree, and we open one gift each on Christmas Eve. Adorable! Honestly something I used to love doing with my family when I was a kid was… Sledding. I loved that! This post reminded me of that, great stuff! Im not ready!!!! But, when I am ready, these are some really good ideas! Love your post! its really fun having kids. They will make all functions memorable. Many of the are really our family tradition. So fun with all the christmas feels in this post especially with the home alone movies, so much childhood with that! This will be our first year Christmas Tree shopping! We are excited and nervous! And yes, cookies!! That’s fun that you get to pick out your own jammies. I love Christmas too. This is my favorite season I really love decoratng Christmas tree with my two boys and Im so excited that is our tradition. I don’t have any kids but I also love decorating during the holidays. Looks like you guys had tons of fun. 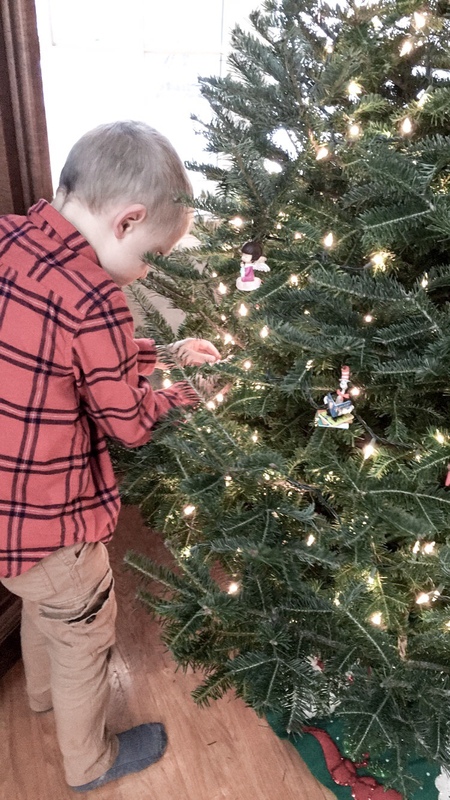 We have some of the same Christmas traditions in our family. I buy each of my kids their own ornament each year and my son loves to go over the top with lights. What a sweet post. 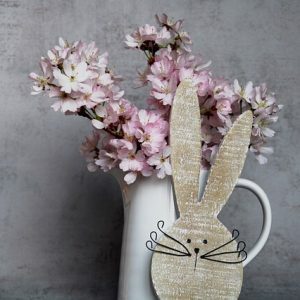 We don’t have kids, but we are very close with our niece and nephew and we do a lot of fun crafts and traditions with them. I juat loved reading this post. Excited to celebrate chriatmas with my son this year. Decorating the Christmas tree is such a lovely part of Christmas! I love your choice of decorations, such a cute theme for your tree! I like the holiday traditions. I tried to start one for my pop and son and I. We would take in a hockey game during the Christmas break. Turned out my son had zero interest in sports, lol, so that was short lived. We have our family brunch Christmas Day. All my siblings try hard to make it.